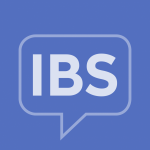 Managing symptoms of IBS is difficult enough, but emotional and mental challenges can also arise. Often, people aren’t just coping with one chronic condition, but several, and it can have a negative impact on the mental health of patients and their caregivers. Unfortunately, because the demands of managing the chronic physical condition(s) are so great, mental health often goes neglected. Your experience, and the experience of all our community members, is extremely important to us. We’re conducting this survey to understand what the mental health challenges are that result from living with one or more physical conditions and how they’re recognized and managed. All of your responses are completely anonymous, and the data we gather from this survey will be shared only in aggregate form with the communities at Health Union, including IrritableBowelSyndrome.net.